If your kids are growing as fast as mine, you probably begin or end each school holiday with the routine trip to the shoe shop to get their feet measured or to replace their school shoes. But I’ve just discovered Treads shoes with a 12-month indestructible guarantee to help combat this very problem. I honestly don’t know what my two do to their school shoes – a cross between a daily Tough Mudder race and scraping the darn things on rough concrete whilst charging across the playground by the look of things. None of this is helped by the fact that kids don’t always tell you that their shoes are too tight and pinching – unless it’s 9:15 am on a Monday morning which isn’t the best time to remedy the problem. We are trapped in a 6-week shoe shopping cycle because that seems to be the longest we get out of most pairs of even the leading brands without foot growth or the shoes looking scruffy and scratched. 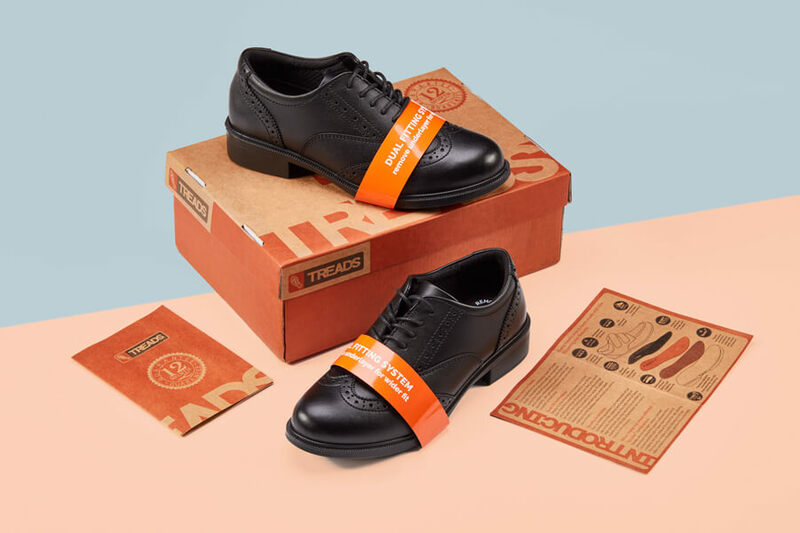 Treads shoes are the brainchild of single-parent Simon who has spent several years researching and testing shoe designs to create a school shoe that will actually last. 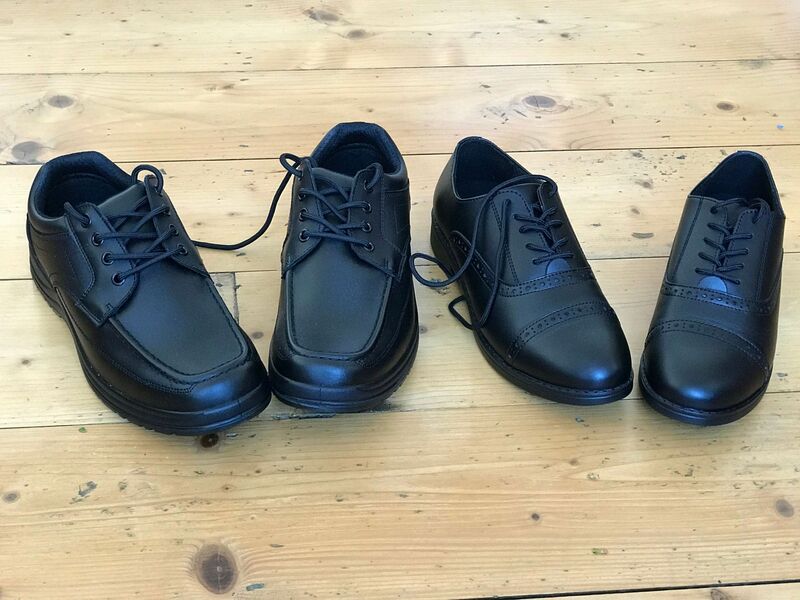 There is a range of boys’ black leather school shoes for ages 6-16 going from Junior size 3 to adult 11. You can choose from touch-fasten styles for younger children and there are lace up and slip-on styles for the older boys. A girls’ range with five more styles is on its way, including the popular Mary Janes. You order online using the online size calculator or you can purchase a measuring gauge and tape for £4.99 to make doubly sure. 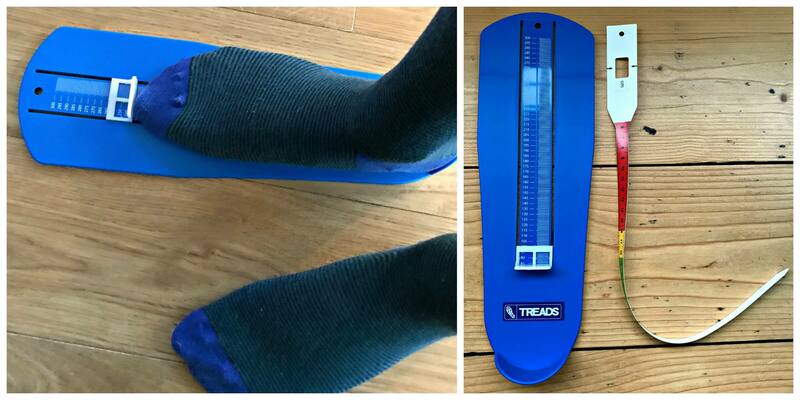 Simply place the foot on the gauge which will tell you the length of the foot and find the width of the foot by wrapping the tape around the foot. Then enter your measurements into the online calculator which will tell you which size to order. The shoes are sold as 3½ to 4, 4½ to 5 and so on rather than single sizes. You need to check the online size guide which gives you a minimum and maximum foot width and length per size. You can’t assume that the sizing matches that of other shoe brands necessarily. Be aware, however, is that the box in which your shoes arrive will be marked as a single size e.g. 4 or a 5 which if you are expecting a 3½ to 4 or a 4½ to 5 is a little confusing. It just means, however, that this is the maximum size that shoe can be. You can make the shoe wider as your child’s foot grows by simply removing the EVA footbed under the EVA shock absorbing removable insole (pictured) which gives extra width for rapidly growing feet. 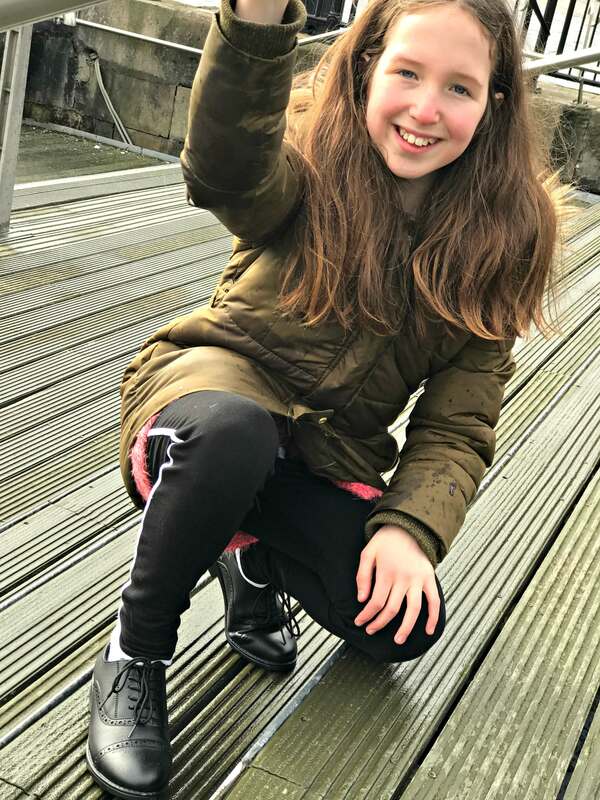 The styles on offer are what I would describe as sensible, dependable styles which is just what you need for a school shoe. Yes, some kids might prefer a hidden shoe toy and a modicum of glitter but supporting a growing foot is far more important. There are no bows or buckles to fall (or be pulled!) off. 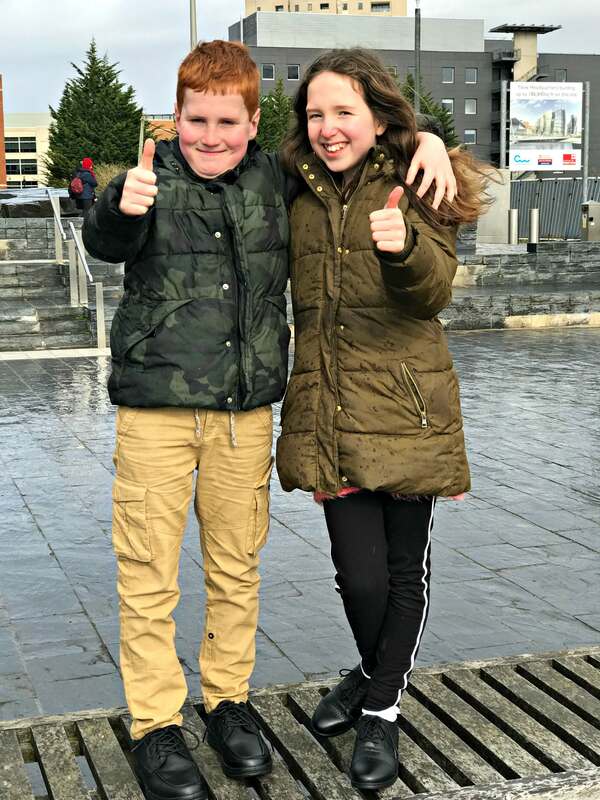 Treads kindly sent Caitlin and Ieuan a pair of their beautifully solid and indestructible school shoes. 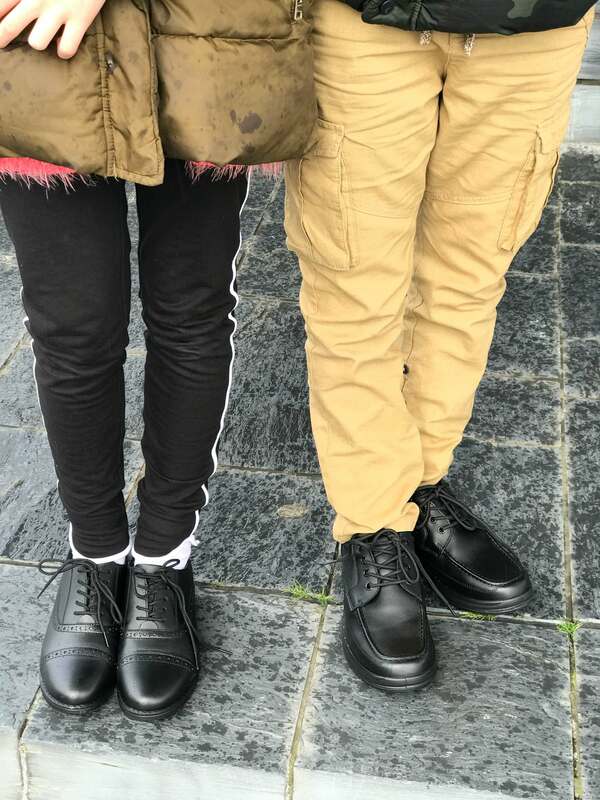 Ieuan had the lace-up Auckland style and Caitlin’s were sturdy Dakota lace-up brogues. Treads shoes are made as one piece, rather than having a separate body and sole. The upper is placed into a mould and the sole is injected around it. There’s no glue involved. The great thing about this is that there will be no broken stitching or split soles. Treads are made from breathable, water-resistant and scuff proof Permair leather with reinforced seams and even a non-marking sole. Price-wise the shoes retail around the £45 mark which is comparable with the leading brand. There is also a 30-day risk-free guarantee allowing you to return the shoes if they don’t suit. 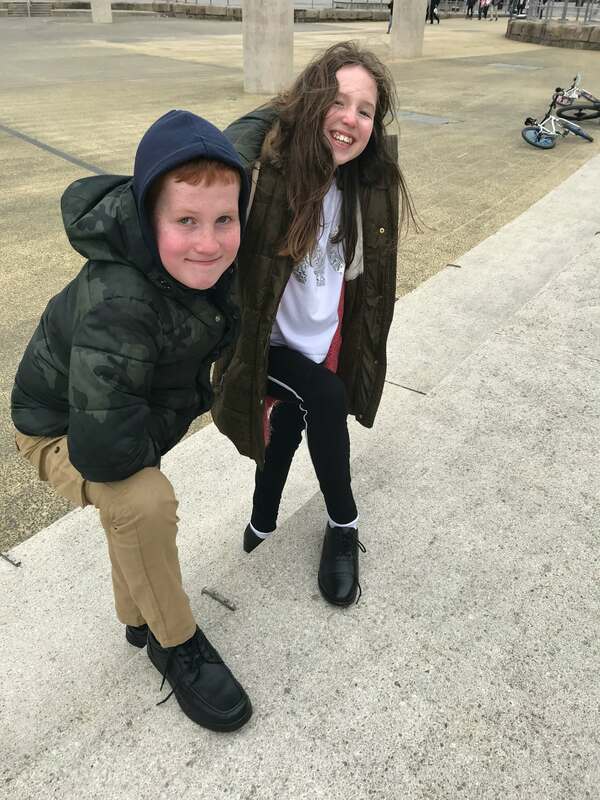 Caitlin and Ieuan both loved their shoes and found them very comfortable – perfect for long days on their feet. 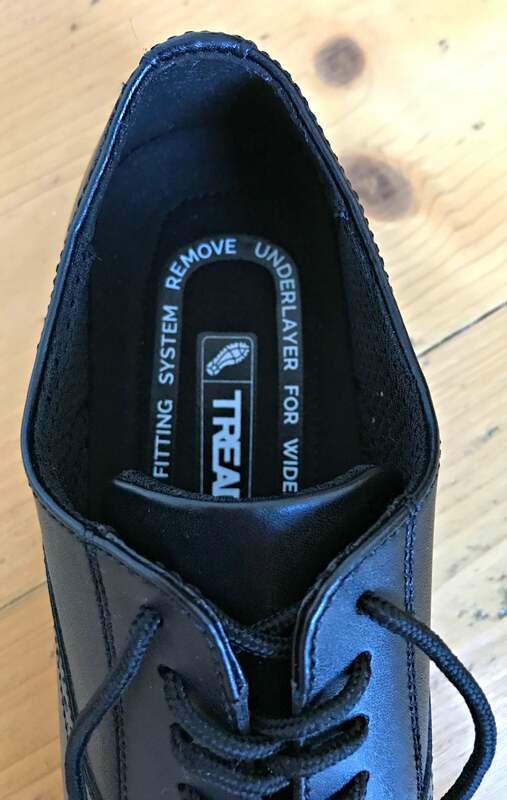 I am looking forward to seeing how well the Treads shoes perform over the next term which should feature a lot more outdoor play as we move into spring and summer. That will certainly put their school shoes through their paces. 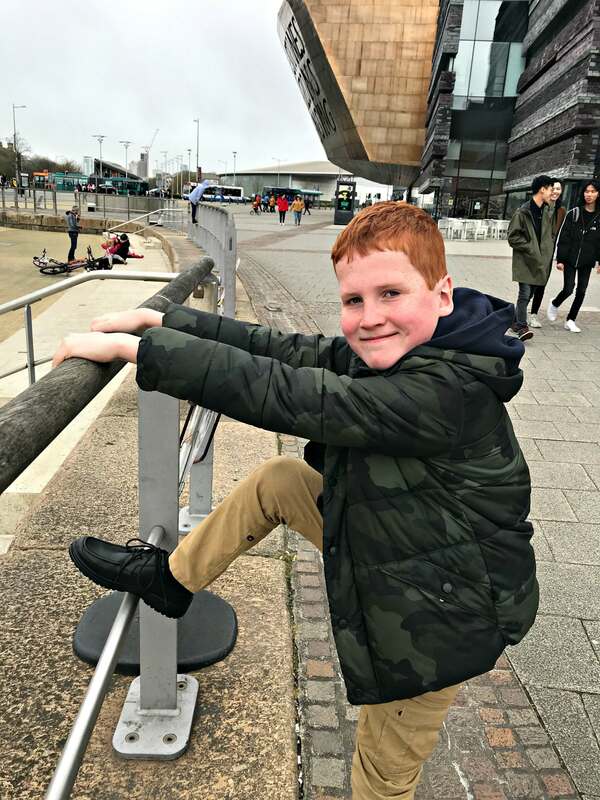 In the meantime, we tried the shoes out around Cardiff Bay on a very windy and rainy Sunday. I am a big fan of school uniform. I think it is a great leveller – everyone looks the same and there isn’t the risk of children feeling ‘lesser’ because they don’t have the latest designer gear. But, let’s be honest, uniform is not cheap. Even buying from the supermarket brands can add up, can’t it? 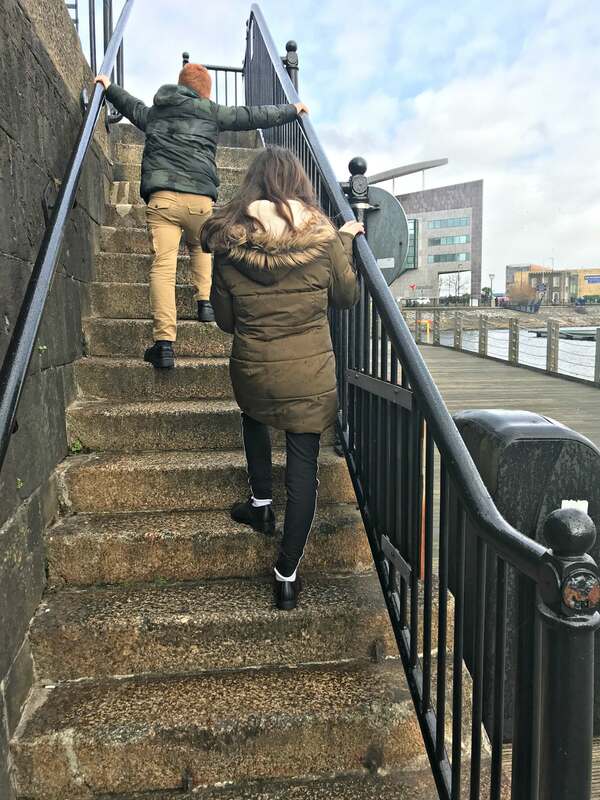 Anything you can do to reduce your school-related spend is OK by me and school shoes are often one of, if not the most expensive item (leaving aside Caitlin’s current passion for Superdry backpacks). 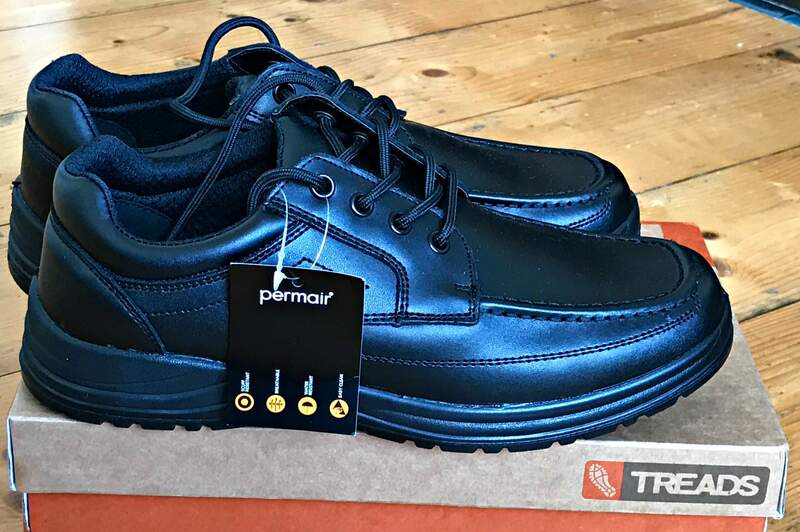 Take a look at Treads and see if, finally, you don’t have to spend every half term dashing off to the shoe shop to queue for 40 minutes only to find they don’t have the right style or size. Think of what you could do with that time and money saved. A pair of new shoes for you, perhaps?! 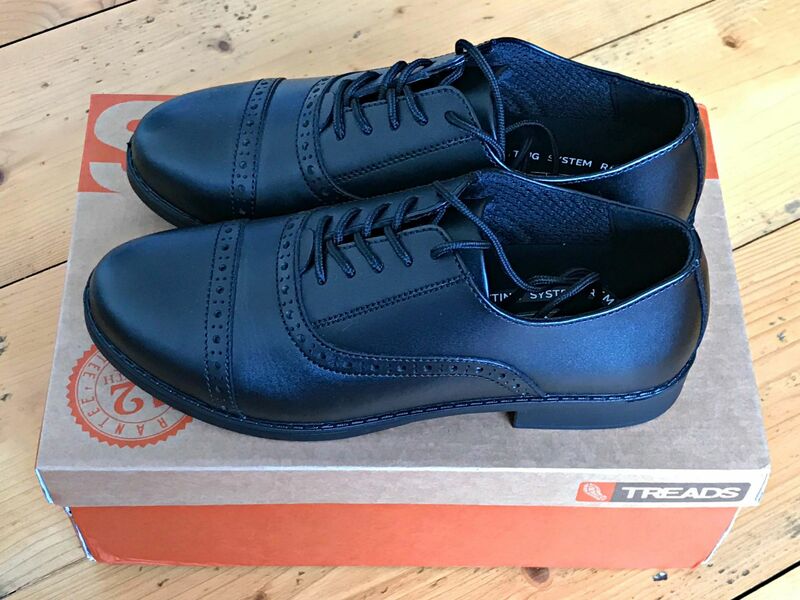 For more information visit www.treads-shoes.com. 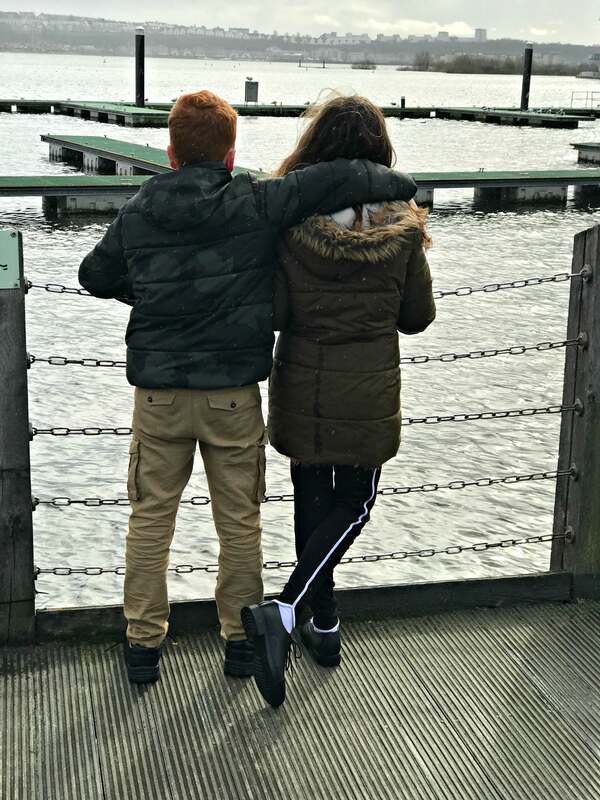 "8 Tips For Parents To Cope With The Clocks Going Forward"